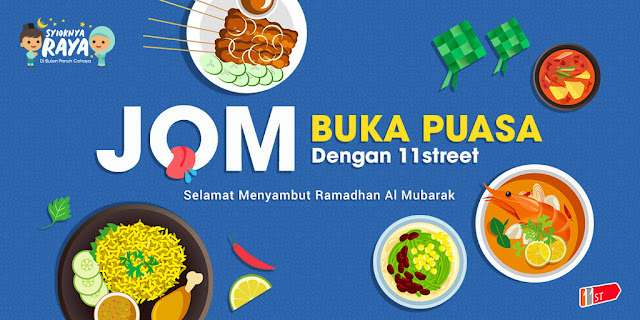 11street (www.11street.my), one of the leading online marketplaces in Malaysia, today revealed Malaysian’s spending habits and behavior in conjunction with the upcoming Ramadan and Raya festival celebrations. According to our recent survey done with more than 5, 000 respondents, Malaysians tend to start preparing for Raya as early as 6 weeks prior. However, majority of the Malaysians (83%) would only spend less than RM1, 000 during the coming festival. To be specific, 40% of those that participated in the survey were between the age of 26 – 35 year olds whom are avid online shoppers. Lim adds that as the company aims to provide a holistic online shopping experience during this festive period, 11street’s Syioknya Raya campaign will be featuring its newest upgrade on its platform, a Muslim-friendly search filter that will allow Malaysian consumers to filter out products that are certified Halal with ease as they shop for their Ramadan and Hari Raya needs. “Malaysians are constantly looking for effective ways to stretch every Ringgit that is spent, which is why this year, we offer more than 120 buka puasa deals from popular dining locations such as Pullman Hotels, Royale Chulan Hotels, Westin Kuala Lumpur and restaurants under the Felda Group, as the findings also revealed that Malaysians search online for Ramadhan buffet voucher at affordable pricing,” Lim shares. During last year’s Ramadan, the sale of Food & Beverage vouchers increased three fold. It has also evidenced that many shoppers purchased Ramadan buffet vouchers in bulk to cater to family dining needs or corporate buka puasa functions. 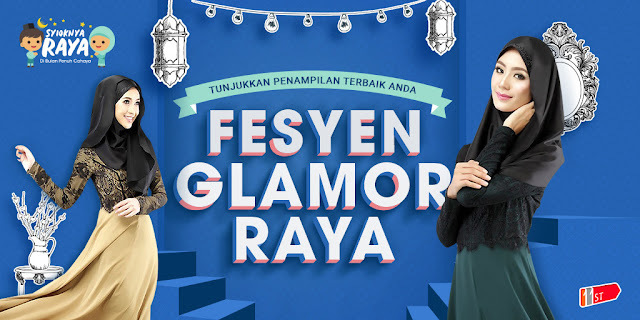 Additionally, Raya Fashion remains one of the top popular categories that Malaysians will shop for during Ramadan and Raya festive period due to a significant tie to tradition. This year, to cope with the demands of Raya Fashion, 11street will be collaborating with CJ WOW SHOP to bring aboard greater assortments of Muslimah wears. CJ WOW SHOP is a leading TV Shopping in Malaysia and some of the key fashion offerings include colour matching traditional outfits, fashionable hijab collections, apparels and accessories with prices ranging from RM50 – RM150 per set. Apart from Muslimah wears, 11street will also be featuring top-selling products from them ranging from home & kitchen, cookware, furniture and health & beauty products. During Syioknya Raya campaign period, consumers can expect massive discounts from up to 150 popular brands and giveaways up to RM30, 000 worth of prizes such as washing machines, fridges and home electronics. On top of that, 11street will also be rewarding those that shop on 11street mobile app with RM9, 000 worth of prizes, as we know at least 60% of our consumers prefer shopping on their mobile devices.